Automated Transaction Delivery is not like the ‘box” sellers that Financial Institutions have come to expect. 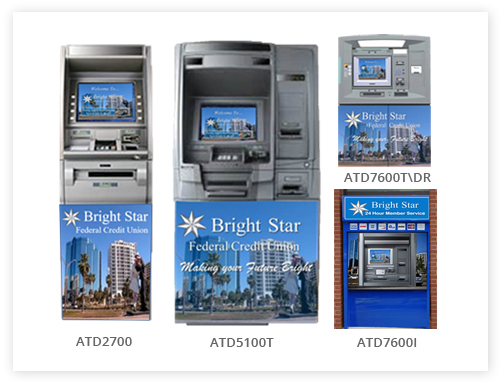 We are solution providers delivering fully integrated and enabled devices eliminating the need for the financial institution to complete the expensive and painful integration process. We Host these solutions to enable ongoing management unequaled in the industry allowing financial institutions to focus on what in important….Their Clients. Our Financial Automation Solutions provide a robust capability for higher volume enhanced requirements. These solutions have the ability to deliver Deposit Automation Technology that improves consumers ability to deposit their cash and checks 24X7. They are delivered in Interior, through the wall walk up \ Wall Drive up and stand alone Island installations. Our cash recycling solutions enable the ability of your staff to focus on consumer service rather than cash management. Our solutions include transit cassette capability to enhance the ease of transferring funds from on device to another. We also have one of the only self service recycling solutions currently operating. 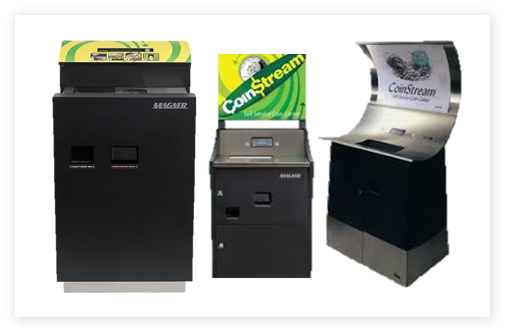 Our Assisted Self Service Solutions are industry leading in variety and application. Our Assisted solutions are self service first based with the ability to provide video enabled personal service. 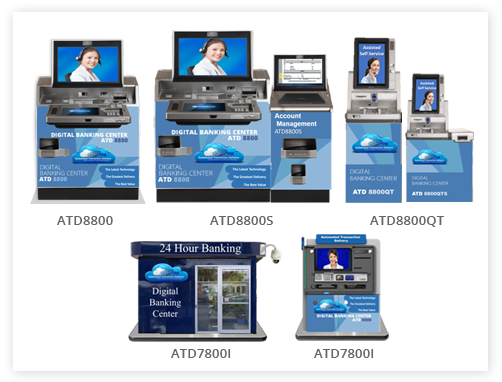 Our foundation ATD8800 solution we have enhanced to provide account management capability. Our QT solutions are designed for smaller foot print locations. 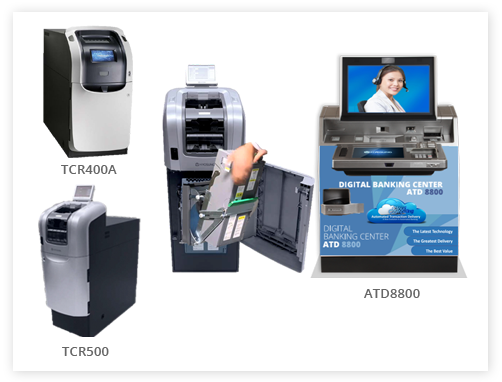 The 7800I and Digital banking Center solutions are designed for branch capability with little site investment. 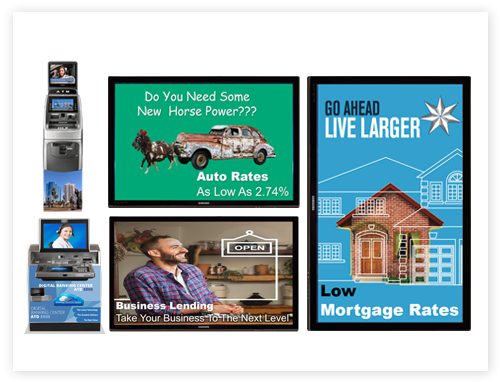 Our Integrated Digital Media Solutions ensure that your brand and Message are consistent through all channels. These include Branch Marketing self service and Assisted Self service and can be changed at any time. Our Digital Security Solutions help protect you and the consumers who trust you to protect them and their money. 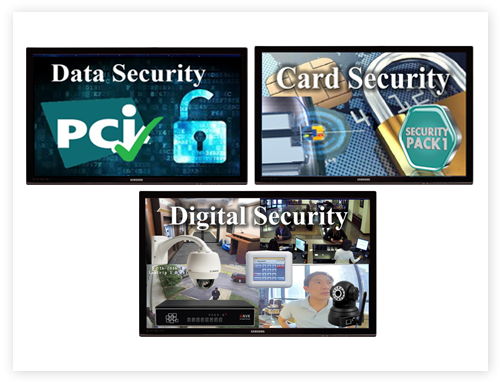 Our solutions are compliant with all of the latest PCI Data security standards including periodic security patch updates. 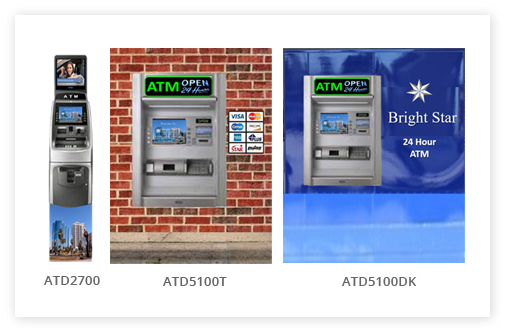 Our industry leading anti Skimming solutions help protect against card skimming attacks. Our Premise security offers independent and remote video monitoring options to meet each locations security Requirement.